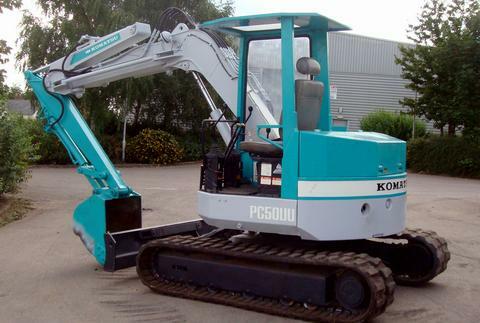 The PC55MR-3 is one of the largest Komatsu mini excavators. The cab on this model is enclosed but still provides great visibility through large windows in the front and on the sides. The enclosure reduces operating noise and still allows for easy entrance and exit. The seat is on a suspension system and more space is in the cab to increase operator comfort. Consumers have three options when it comes to the tracks: rubber, steel and roadliner. The machine can travel at two speeds to speed up work and maximize productivity. 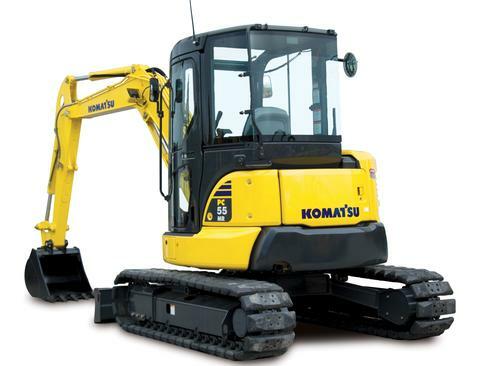 Maintenance on Komatsu mini excavators is facilitated by access panels that open completely. This easy access allows for work on hydraulic components and more. The hood and side panels open for work on the engine. The radiator and oil cooler are side-by-side to make it easier to check them. The operator cab tilts forward for even more access to hydraulic components. The hydraulic hoses are marked for easy identification. Grease points are all on the same side of the arm for ease in maintenance as well. The ignition and all machine locks are operated with the same key. Very Nice blog. Nice information on mini excavator. 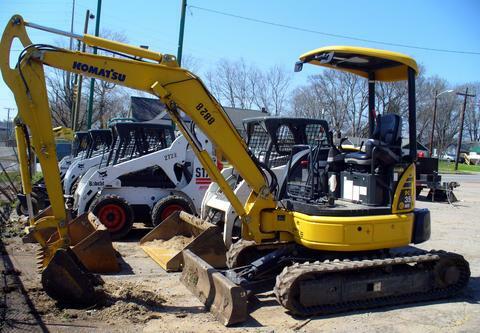 GBD hire services provide one of the most versatile, compact and powerful Mini Excavator, Mini diggers and Post Hole Digger on rent at very competitive and flexible with rates that are best for your landscaping projects.